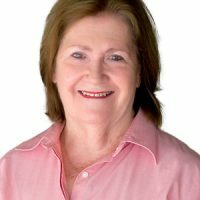 Jenny has been working in the Real Estate industry since 1980 and has earned along the way over 20yrs experience in property management. Jenny has a well earned reputation that improves as she continues to excel in her field. Her list of loyal clients continue to grow and to chose Jenny to manage their most prized assets and are happy to refer their friends and associates to her. Jenny’s consistent hard work, honesty and professionalism has served her well gaining the accolade of Property Manager of the year with the REINT in 2010 of which she is very proud. Would you like to speak to Jenny? If you’re thinking about renting or selling your property and you’d like a clearer picture of how much your property might be worth or want to have an informal chat about general property market trading conditions, Jenny will be happy to arrange a full market appraisal of your property.